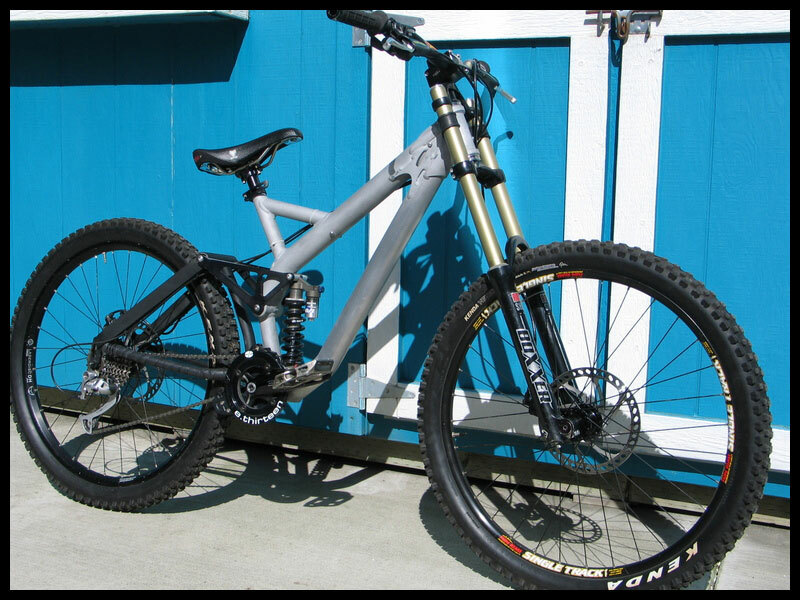 Balfa 2Step HD is a 7.1" (180 mm) travel frame dedicated for downhill and freeride use. 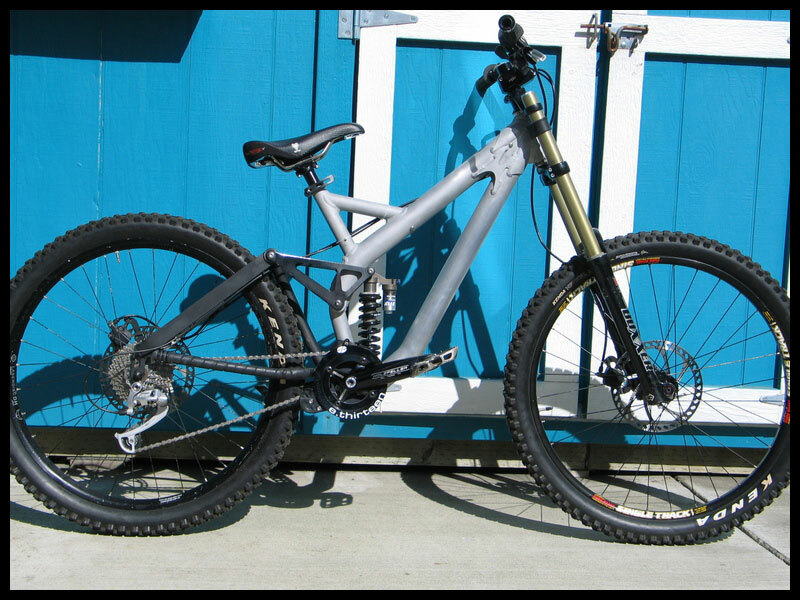 It's meant for hammering down the trail, but it's also capable of some uphilling. 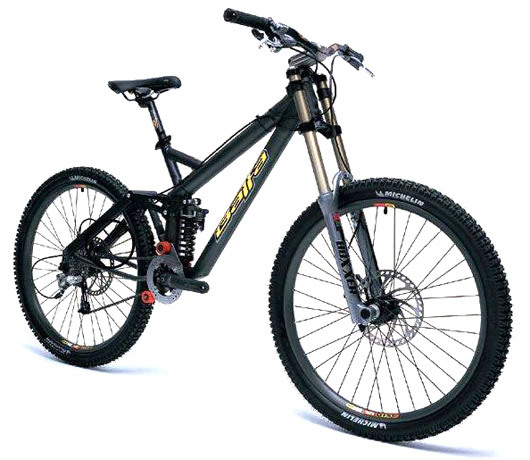 Features the Balfa 2-Step linkage allowing for good pedalling efficiency as well as plush suspension. 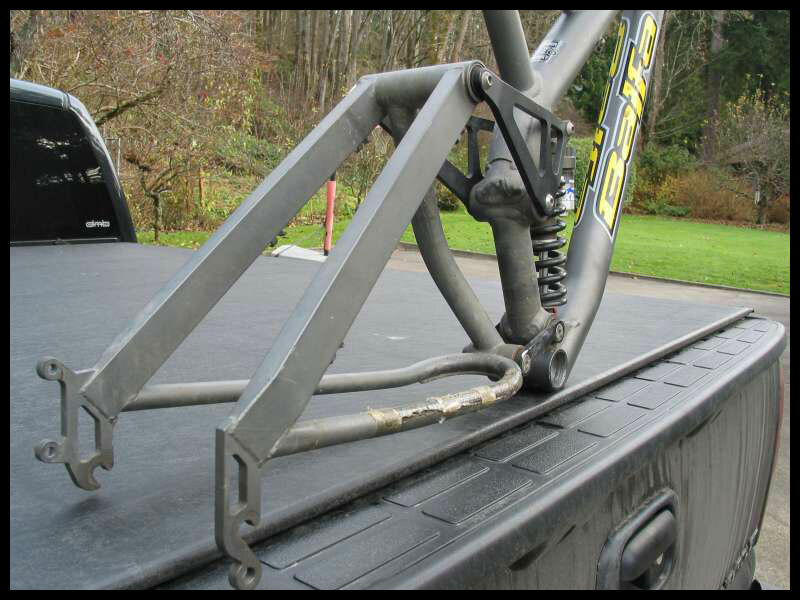 As all full suspension Balfas, it has beefy alloy front end and Cr-Mo rear end. 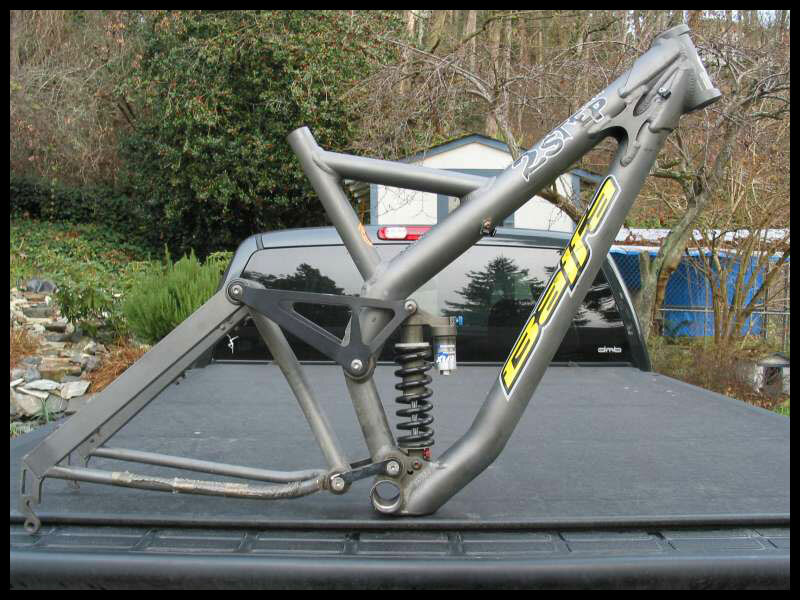 This frame was known as 2Step DH in 2003 but in 2004 the name has been changed after numerous complaints from consumers questioning the DH tag on a "freeride" bike. 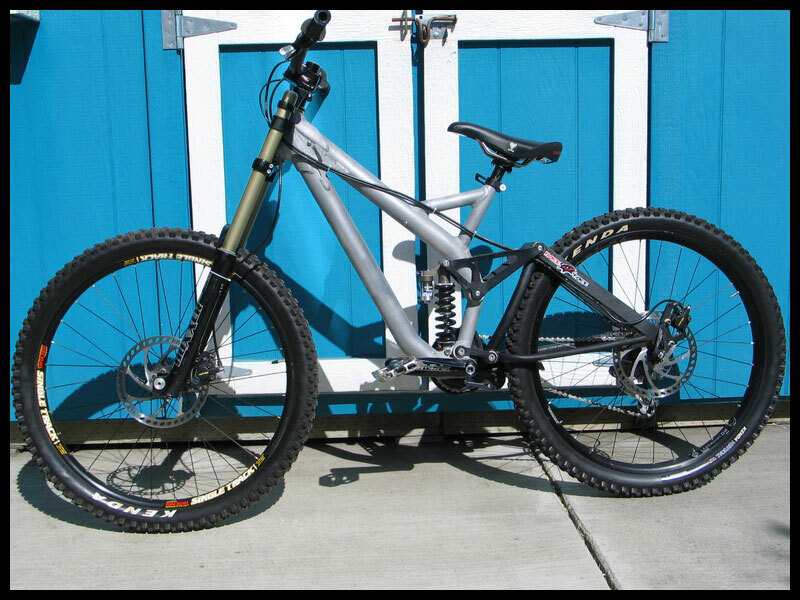 2004 has also higher bottom bracket, improved chainline, ability to run more types of shocks and some more little tweaks. 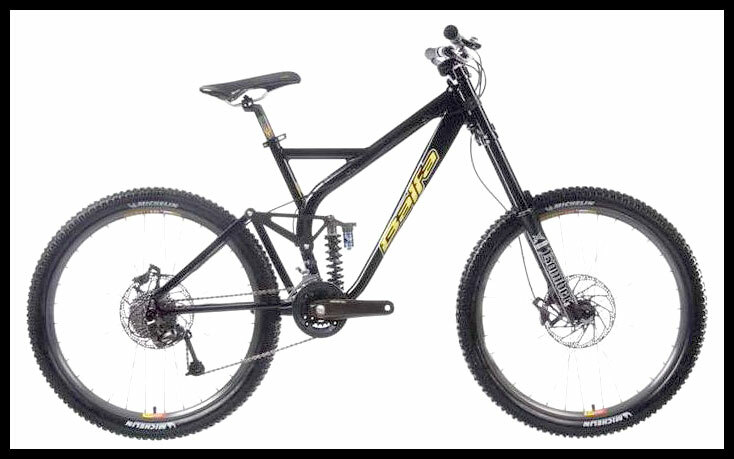 Tyre clearance - 26 x 2.8"
2Step is suspension design with temporary (moving with compression) pivot point. It is very similar to Maestro, or DW Link. Such design's advantages are good pedalling efficiency (little to none pedal bob) and close to none suspension feedback under braking (brake-jack). 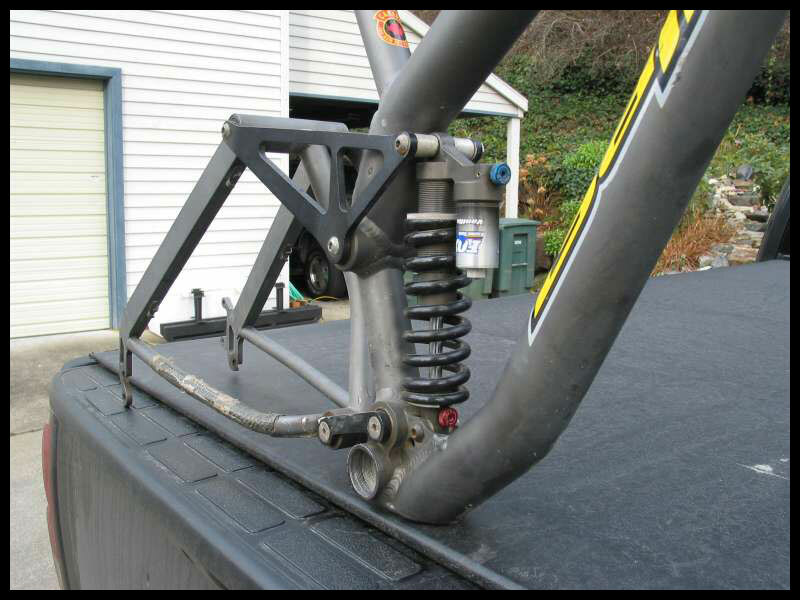 You can download 2Step HD layout for Linkage2 here (view BB7 suspension design for details and program download).